A few years back, while living out west, Doug Jones came across an art gallery in Sante Fe, New Mexico, and noticed the gallery was featuring a single artist. Doug was attracted to the work's bright and bold colors, so he walked in. After talking with the gallery director, he found out the artist - who was selling his work for thousands of dollars - was from a little town in Michigan. The town? Doug's town. Our town. Jackson, Michigan. That discovery got Doug thinking. Now, it's almost a mission for him: finding untapped potential and creativity, and letting it loose on the world. 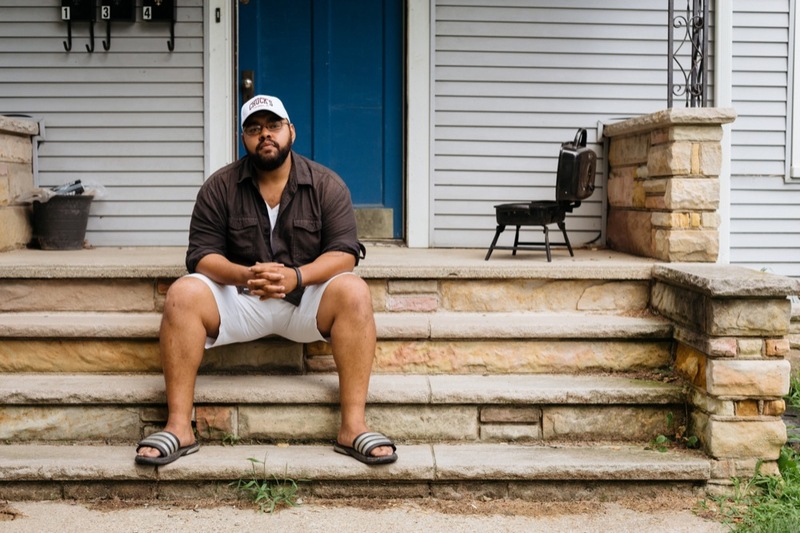 It wasn't always that way for Doug, a corporate lawyer turned community developer turned painter and art community organizer. He was going to turn his University of Michigan education into big money somewhere outside of Jackson. But a couple of things happened that brought him back. For one, a trip to New York during college switched on the aesthetic part of his brain. For two, working at Lifeways helped him identify with the needs of the community, spiritually and artistically. That encouragement came in the form of live painting and art events - bringing creative people out of the wilderness, in a sense. It all comes from understanding what the power of positive reinforcement and encouragement can do. Personally, art acts as an outlet for the suffering and pain Doug sees in the world. Working with Lifeways and other non-profits, he saw and heard gut-wrenching stories from clients about pain and loss. He saw a tough guy break down in front of him, and he helped a girl struggling with suicide. Doug recognizes the pressures that a small, blue-collar town can put on up and coming artists. Helping artists realize that what they're doing is valuable? That's the goal. 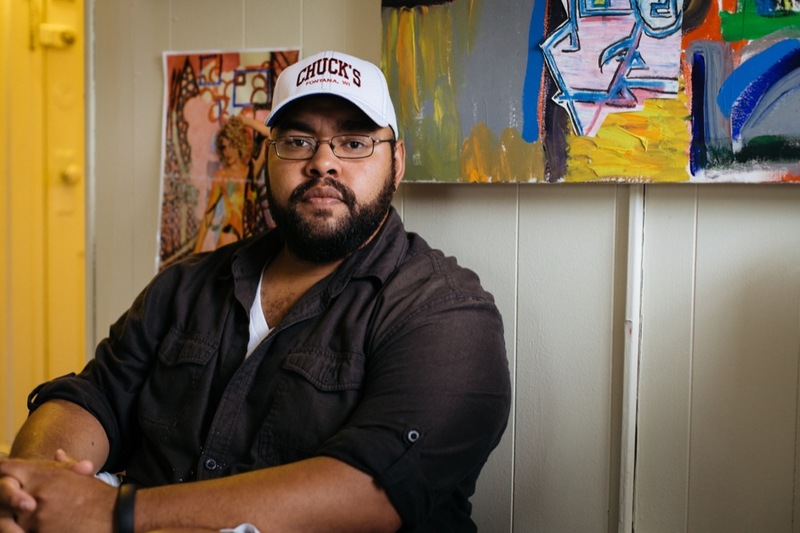 While there is more happening in the Jackson arts community - a Public Arts Commission, more and more shows popping up, collectives (like his own, The Singularity) forming - Doug sees a lack of self confidence in town. One way to help is to bring in more creative professionals from outside.